Zion Jeep Tours. Hotel pick up in the Springdale and Hurricane areas for your safari. Get ready for your private romantic getaway! 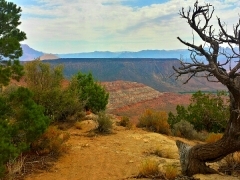 We ascend 2,000 feet atop a petrified forest where overlooks and adventure begins. Enjoy an optional stroll down a cozy dry stream bed as you discover petrified wood and dinosaur tracks with a gorgeous overlook to the valley floor. Continuing through the rugged volcanic landscape, you will encounter various geological formations and micro climates. 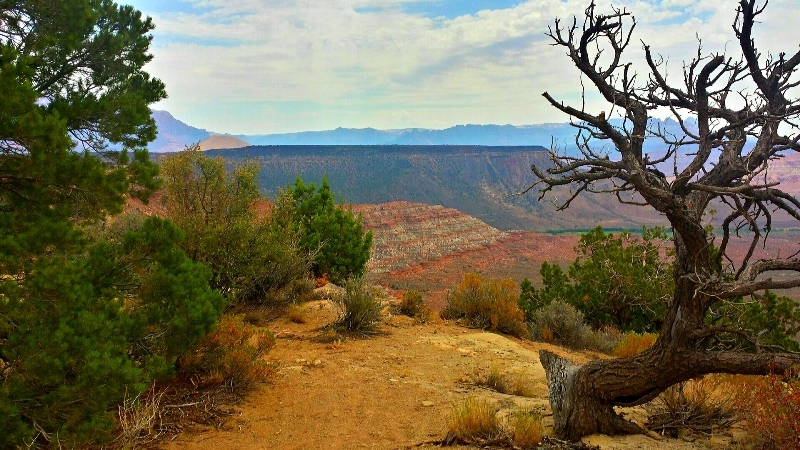 Stunning overlooks to the back of Zion National Park and the Kolob Terrace complete this adventure. With our guide at the wheel, our UTV tour option provides you with a comfortable ride, easy entry and exit, and you experience a wide open and in touch with the elements feel. 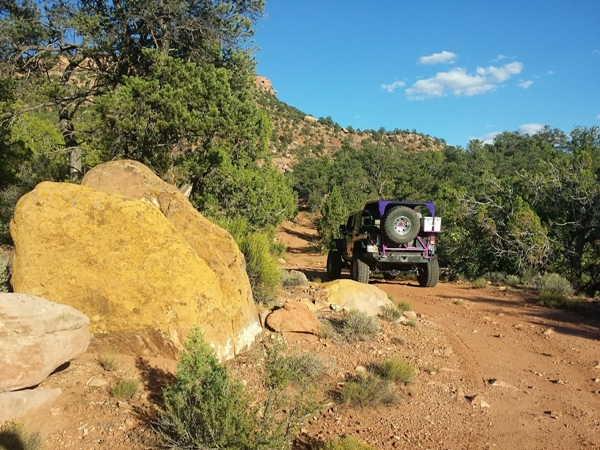 Whether being driven in the jeep (seating up to 6 passengers) or UTV (seating up to 5 passengers), this is a romantic trail perfectly suited for the couple in love, and makes for a great way to end a beautiful evening in the Zion Country. This is a ZCORT exclusive! 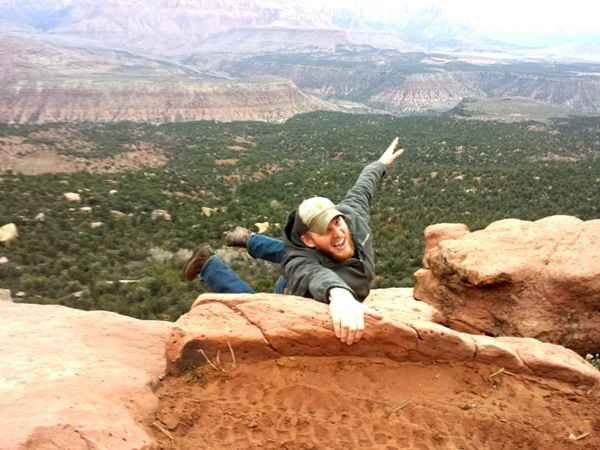 ZCORT can customize this tour to your level of adventure! 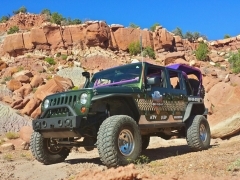 This is an all private jeep or UTV tour. This is a Zion Jeep Tour. 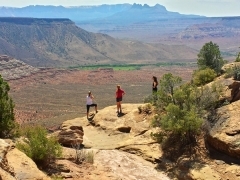 This trail is fun for all ages. 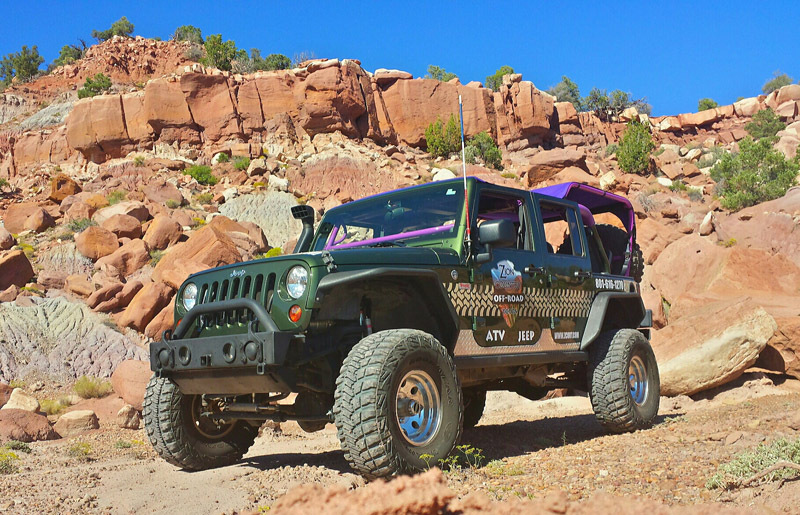 This is a smooth open-air 6 passenger Jeep.